A common barrier stopping UK sellers from taking the plunge into Etsy is that they are wary of posting items internationally. There's really not much to be worried about once you know the basics, so I thought I'd put a few tips down here to help reassure you. Most of this post refers to Royal Mail. I have most experience with RM, but there is a bit about other options at the bottom. Note this article was updated May 2012. So, when posting with Royal Mail internationally there are a few decisions to be made. Excuse this pic. I am learning how to use my tablet! 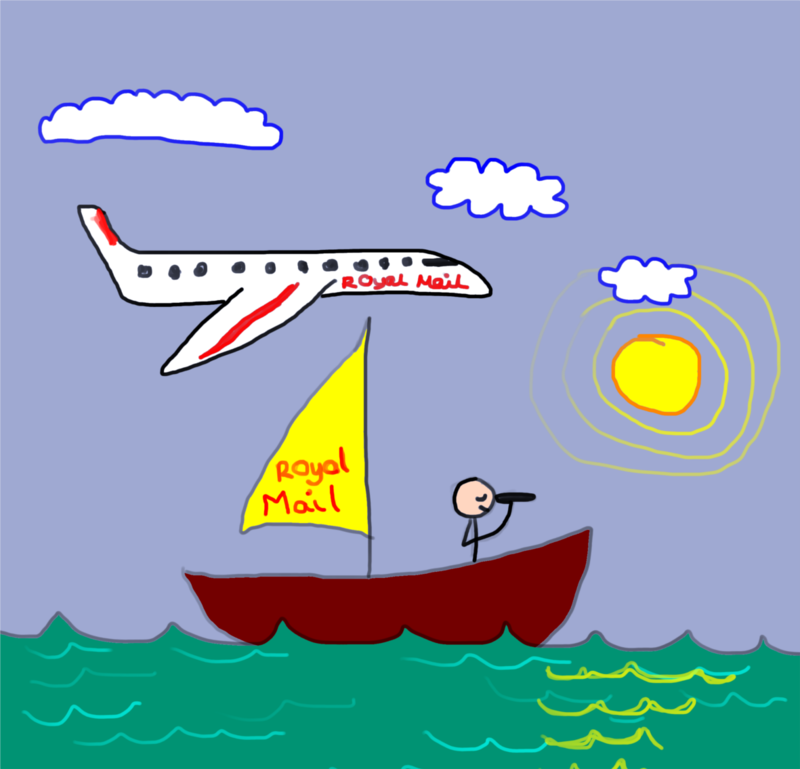 Surface mail goes by boat and is vvveeeerrrrryyyy slow. It might possibly work out for you if you are sending something very large or heavy, but for most purposes you'll want to be using Airmail. Letter, Small Packet or Printed Paper? The next decision is which of three categories of posting you want to use. Each category has its own price profile (one for Europe, one for Rest Of World). This can be quite confusing so I hope I manage to explain things clearly! Letter: You don't have to be sending an actual letter to post an item as a Letter ... You can send ANYTHING as a Letter (unless it's on the prohibited list!). If you're sending personal correspondence to someone abroad you must use this category, but you can also use it for sending commercial goods. Small Packets: Once more, it doesn't have to be small, or a packet, to be sent Small Packets!!! You can send gifts, goods or commercial samples as Small Packets. You can include papers or a letter if they are related to the item being sent, so a receipt or thank you note is allowed. Again the weight limit is 2kg and you must write "Small Packets" on the parcel. Printed Papers: This is for books, newspapers, flyers, etc. I sold some magazines on Ebay to someone from the USA and this was the cheapest method. Weight limit is 5kg, so higher than the other classes, and again a letter can be included if they related to what's being sent. You must write "Printed Papers" on the front. RM's prices are set by where you are posting - there's one price for Europe and one for Rest of World (ROW). For a list of which countries count as Europe for cost purposes, see here (note that some countries which count as Europe for cost purposes are not in the EU and hence do require customs declarations; eg The Channel Islands, Switzerland). For items going to Europe or ROW over 100g, Small Packets will be cheaper than Letters, BUT there is nothing to stop you using Letters if your package is under these limits. Over 100g, the two categories now cost the same (since April 30th 2012). Standard airmail: Your package is insured for up to £50, and is trackable until it leaves the UK - after this point, it's on its own. However you are still covered by RM - if the item has not arrived after 25 working days, you can claim the postage back as long as you have proof of posting. Airsure: If £50 isn't enough for your items, or you require tracking to the final destination, you can use Airsure if you are sending to certain countries. I haven't ever used this myself as my items are all quite cheap, so this isn't from first hand experience. 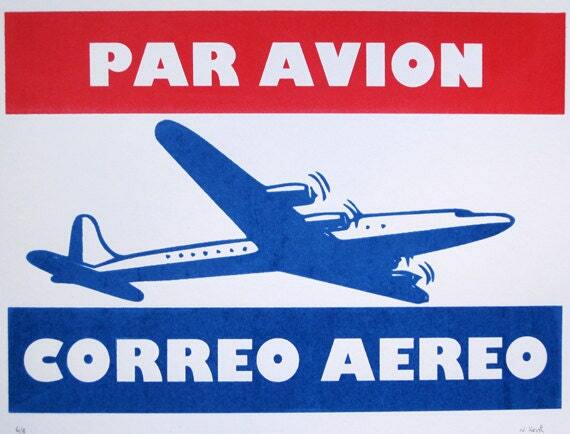 AIRSURE OUTSIDE EUROPE: By paying an extra £5.40 on top of the airmail cost you get tracking to the destination. By paying another £2.50 on top of that £5.40, you get extra insurance (up to £250 or £500 depending on the country). Also, RM say that with Airsure packages generally get to their destination one day quicker than normal airmail. Airsure is only available to countries where RM have agreements with the postal service to share tracking information. This is actually quite a short list: Australia, Brazil, Canada, Hong Kong, Malaysia, Singapore, New Zealand and USA (nb this list may change so do double check). AIRSURE WITHIN EUROPE: You can also buy Airsure for some European countries, prices are on this page and note they include the basic Airmail price. International Signed For: If you need more than £50 insurance but are not sending to an Airsure country, you can use this service. From £5.15 on top of the Airmail cost, you get £250 or £500 insurance (dependent on country) and your item must be signed for before it is left with the recipient; otherwise it will be taken back to the local post office. Note that you don't appear to get confirmation that it has actually been signed for or who signed for it. You are relying on the local postal service to act properly and get a signature... This page says that tracking to destination is available for a certain number of countries, I'm not exactly sure how this tracking differs from the tracking you get with an Airsure item! So once your item is on it's way, how long will it take to get there, and what will happen if it doesn't arrive, or doesn't arrive in one piece? According to the RM website it takes 3 working days for post to get from the UK to Western Europe, 4 days to Eastern Europe, and 5 working days to reach the rest of the world. Honestly, this is quite optimistic! 5 working days is the fastest I have ever known any of my packages to get to the USA (it has happened a few times, though), 7 working days to Australia. Europe I find quite a lottery as some countries have much better services than others - Italy in particular has a reputation for having quite a lackadaisical postal service. If you have proof of postage (from the Post Office), you can claim for a lost international item after 20 working days for Europe, 25 for the rest of the world (so that is 5 weeks). Note you cannot claim any earlier for Airsure items. You can also claim for damaged items, but not delayed items. All information and links to the required forms are here. They say to allow 90 days for them to respond so this is may not be a quick process. If you can't or don't want to use Royal Mail for your international posting for whatever reason (eg weight, speed of delivery, etc), the only alternative is a courier. Royal Mail's price finder does include Parcelforce deliveries; they seem to generally be a similar price to other well known couriers such as FedEx or DHL. I haven't personally used couriers before but I have had a look at "middleman" sites like Parcels2go, Interparcel, etc, who seem to provide cheaper options than going direct to the courier companies themselves. One benefit with using a courier is that generally they will come to you to pick up your parcel, so no queueing at the Post Office!! Brilliant blog and very informative. I had a notification about a comment from Michael Gage asking about whether I am sure you can send anything by "Letter"... I can't see the comment but thought I would respond here anyway in case he comes back! I used to send everything airmail small packet because I thought I had to; I printed postage online and took it to the PO for proof of posting. Just before Christmas when the RM website was playing up I had to buy postage from the PO. When I was there they quoted me the Letter rate - this was cheaper as most of my items are under 40g. I queried this and they said it was fine. Since then I have probably sent 50 or more items abroad using Letter rate and they have all got there (bar one, but that was just bad luck). I agree that the wording on the RM website is not crystal clear. But in my experience it has been fine to post my light items as Letters. I mean - Letter goes up to 2kg - can you imagine a letter that weighed that much!! Rachel, many thanks for your reply; good to hear your experience. I will try "letter" next time, and keep my fingers crossed! Thanks again for your hard work in researching all this. I put the whole thing in the County/State box above that one (State abbreviation and 5-4 zip code). As it doesn't complain at you if you leave the postcode box empty. It is VERY shortsighted of them though, to have such a limit on the postcode box. Along with the foreign characters thing, it makes me wonder whether they really want us to use them to post items abroad! I just tweeted Royal Mail and informed them about the extra 4 digits on US post codes, they weren't aware! They promised to flag it with their web team. Folksy & Etsy Comparison Part 7: Everything Else!